What better opera to see in Paris than this most French of operas, starring France’s favourite opera son. This season premiere is distinguished by excellent singing, fine orchestral playing and a suitably lavish but tastefully understated set. To begin proceedings, a heart-stopping moment came as a woman with a microphone took the stage. 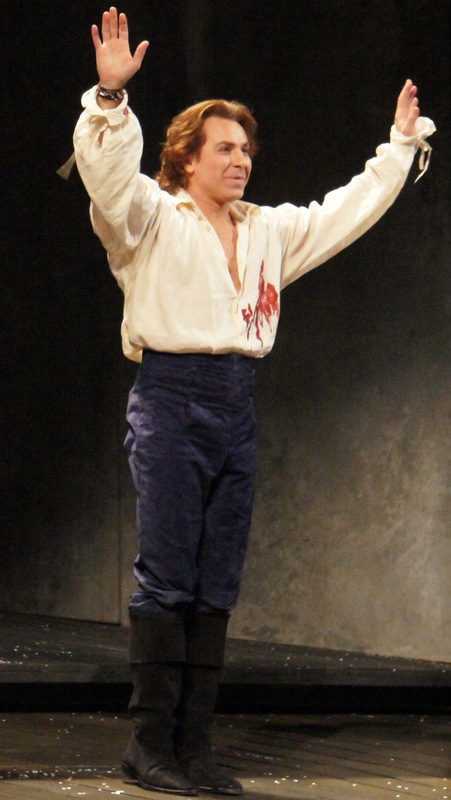 The name of Roberto Alagna seemed to be mentioned but, thankfully, within moments the audience was clapping happily and the performance was underway. 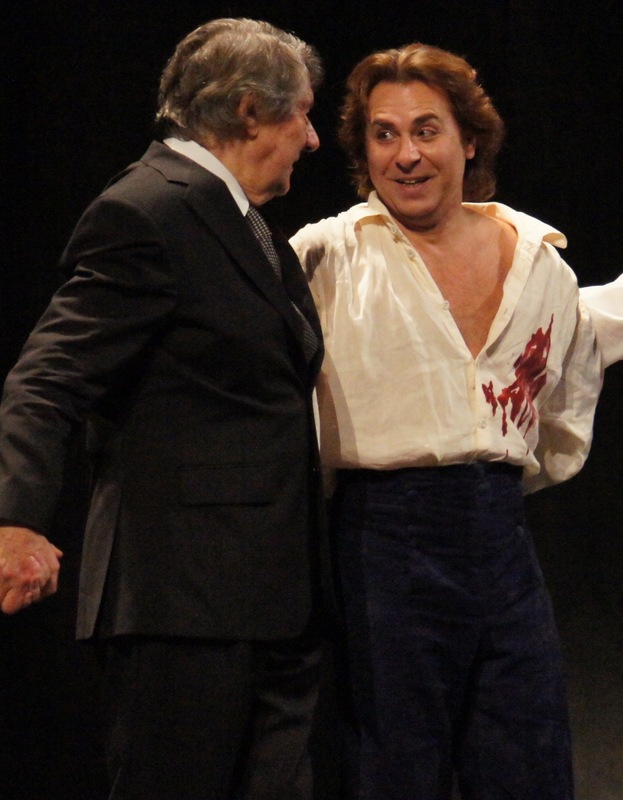 Perhaps Alagna was slightly unwell, as was the case with Carmen ten days ago. If so, it did not show in his performance at all today. 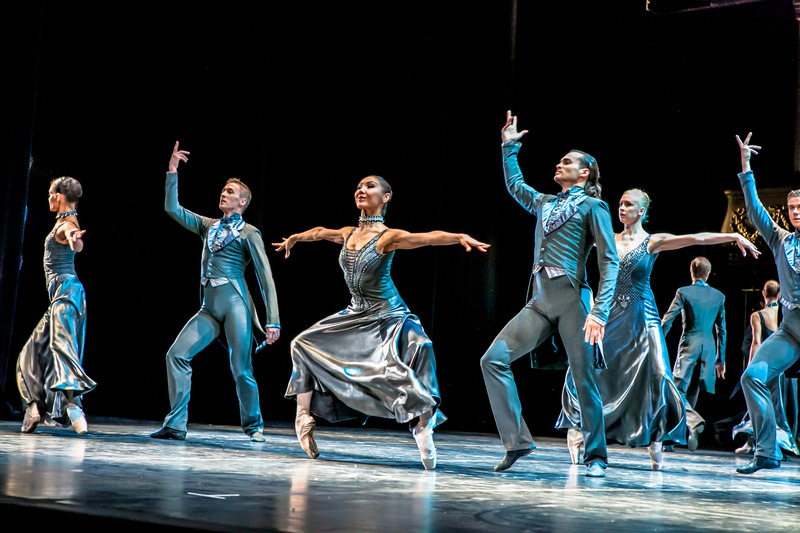 Benoit Jacquot’s traditional, respectful production originated at Royal Opera, Covent Garden, in 2004. Scenic design is by Charles Edwards. The opera opens at the gate of a wealthy family home, with a large, weathered, ivy-covered wall that has an operational fountain. The steeply raked cobblestone ground remains in act two, where a simpler setting shows a set of rear steps leading down to a church. Act three is set in the austere interior of the home, with only the props mentioned in the text present as any decoration. The brief act four takes place in Werther’s garret, which begins all the way upstage, dimly lit, and slowly moves forward, as the lights come up, showing a grisly end for the troubled young title character. As the opera begins, Le Bailli takes an early opportunity to teach his six youngest children (who all appear to be the same age) a Christmas carol. As Le Bailli, Jean-Phillipe Lafont has a charming twinkle that shows him to be unmistakably French. 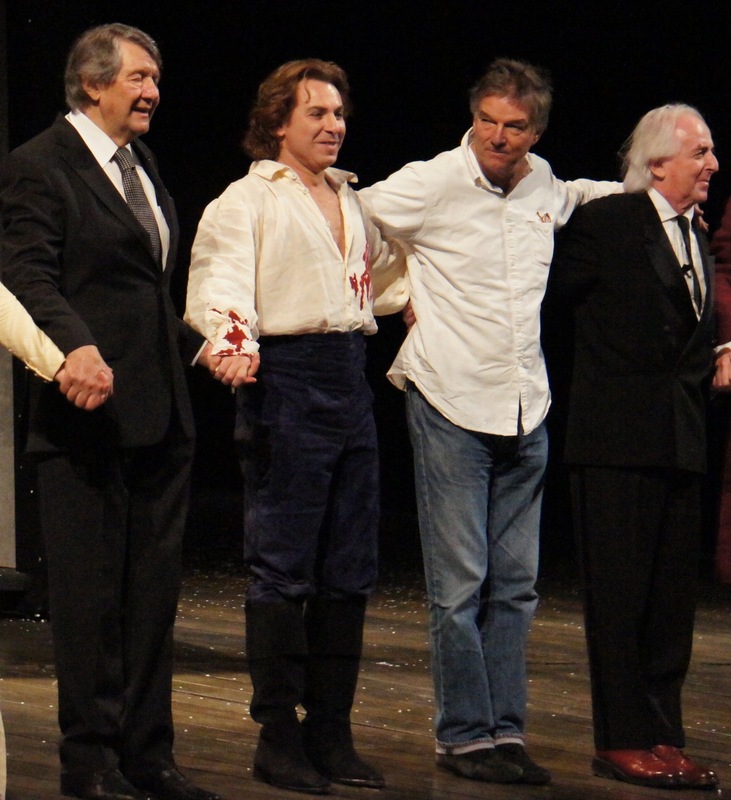 Le Bailli’s friends Schmidt and Johann provide a modicum of comic relief, although the “drunk” acting of Luca Lombardo and Christian Tréguier is of pantomime standard at best. We know that his daughter Charlotte is a key character as her name is mentioned about a dozen times before she ultimately appears. Charlotte’s moral difficulty with affairs of the heart is telegraphed by her full-length dress of virginal white and her long blonde hair. In a curious move, designer Christian Gasc has Sophie wear the same dress throughout the opera, even though many months pass. Likewise, Charlotte’s sister Sophie wears the same lilac dress. Costume designs are particularly attractive for the men. Werther’s royal blue velvet suit is paired with a paler blue vest then a yellow one, and finally a dark blue frock coat in act three. In Act two, Schmidt is seen all in purple and Albert, Sophie’s husband, all in plum, right down to their stockings. Karine Deshaye’s lovely mezzo-soprano is ideal for the sweet young Charlotte who captures Werther’s heart so completely, and her performance grows in confidence and resonance throughout the opera. Deshayes is given an absolute tour de force scene in act three, as Charlotte waits alone on Christmas Eve thinking about her feelings for Werther. After a haunting rendition of “Va! laisse couler mes larmes,” Deshayes really hits an extended emotional peak with “Werther! Qui m’aurait dit /Ces lettres!” (the Letter Scene). In an exemplary display of his acting strength, Roberto Alagna takes on the inner sorrow and torment of a morose, lonely man. On the outside, his handsome face and long wavy hair remain, yet he projects vulnerability, anguish and regret to an extent that the devastating effect of these feelings is entirely credible. 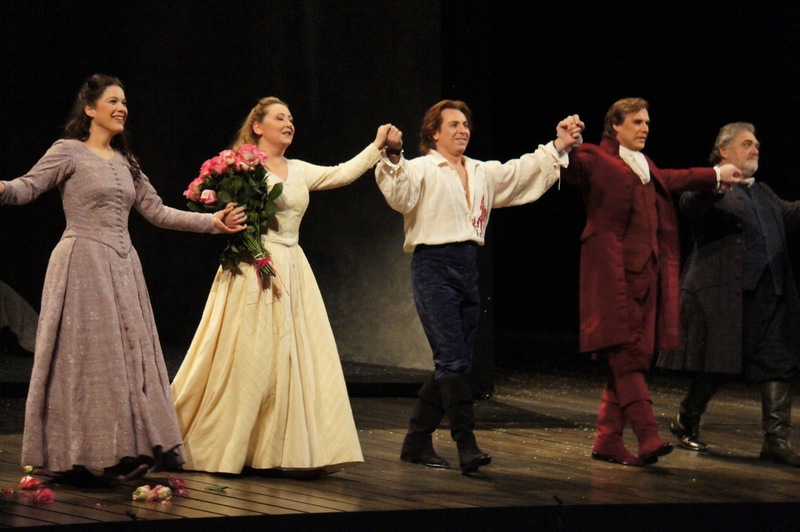 A massive role, Werther gives Alagna many opportunities to shine vocally, with a number of arias taking Werther on his journey from hopeful youth to dejected, suicidal man. 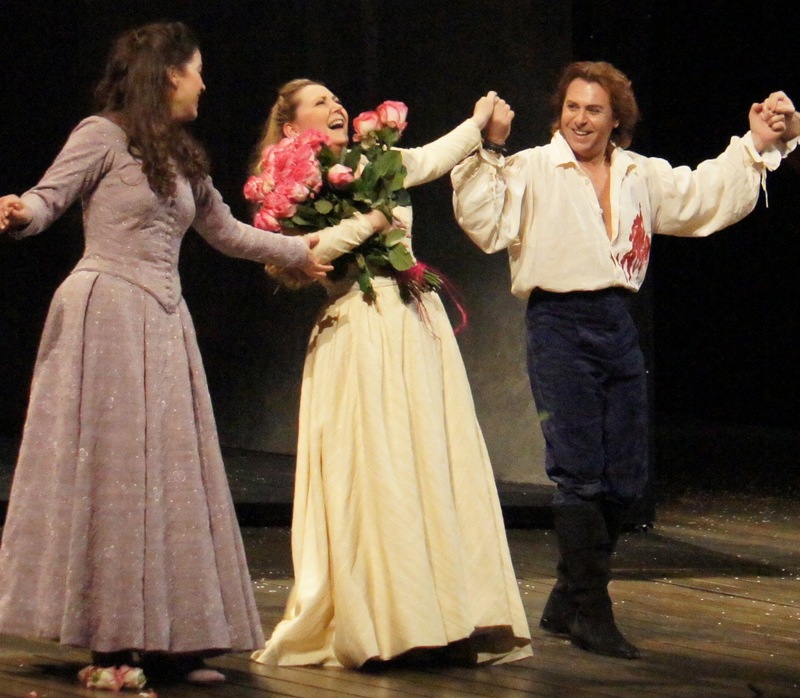 Often appearing on stage alone, Alagna has the affection and rapt attention of the huge Bastille Opera audience. By the time he sings act three’s “Toute mon ame est la!…Pourquoi me réveiller?” he absolutely brings the house down. 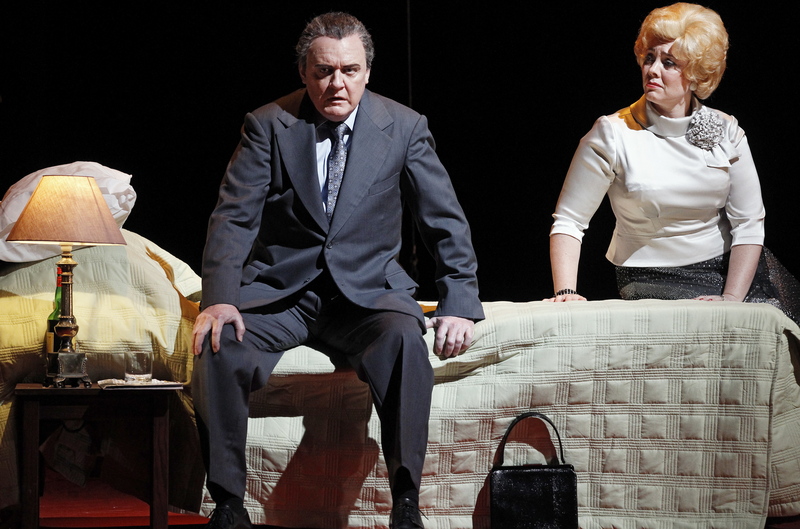 Alagna and Deshayes enjoy strong chemistry, and their duet work is most affecting. Their full commitment and passion in the final act brings out the full tragedy of the situation. 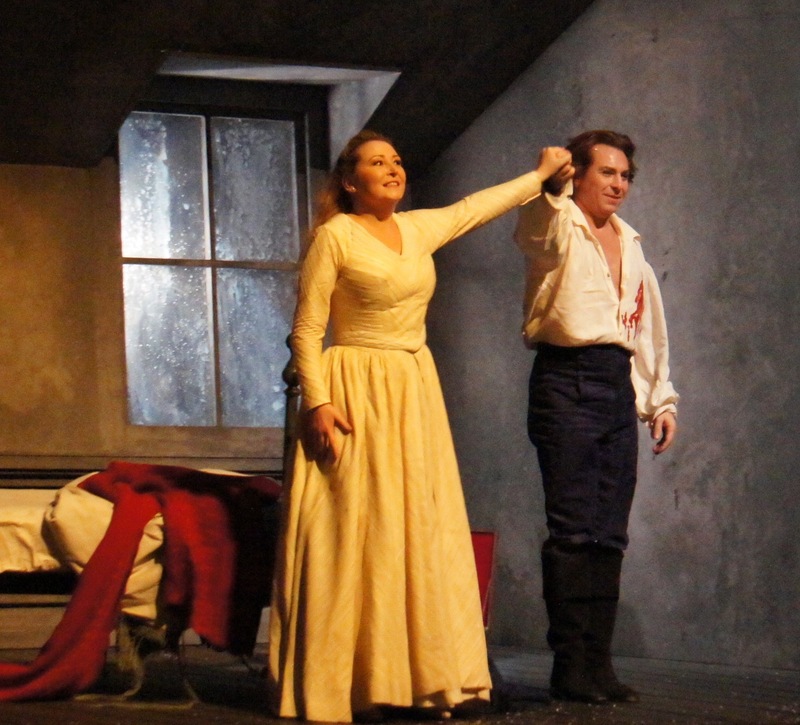 Strong support comes from delightful soprano Hélène Guilmette as Charlotte’s younger sister Sophie, and sterling baritone Jean-François Lapointe as Charlotte’s husband, Albert. 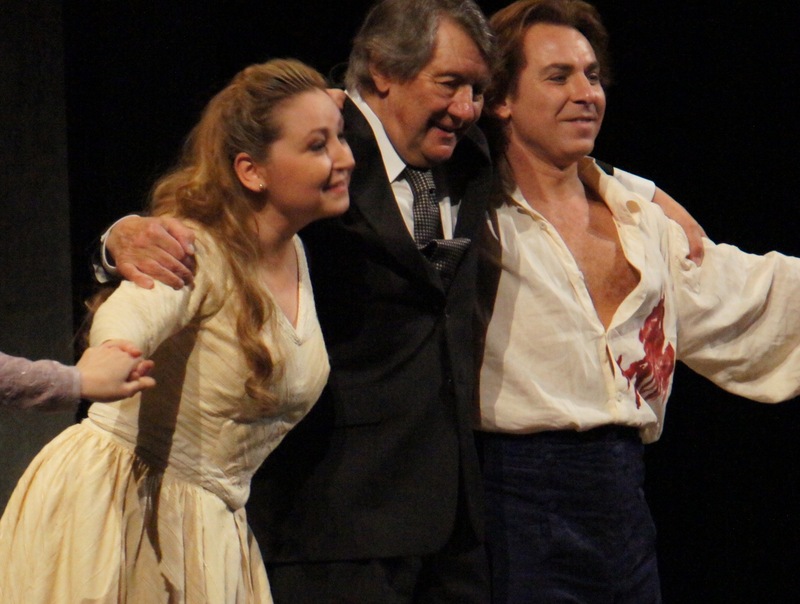 Werther was reviewed on 19 January 2014 at Paris Opera Bastille, where it continues until 12 February 2014. 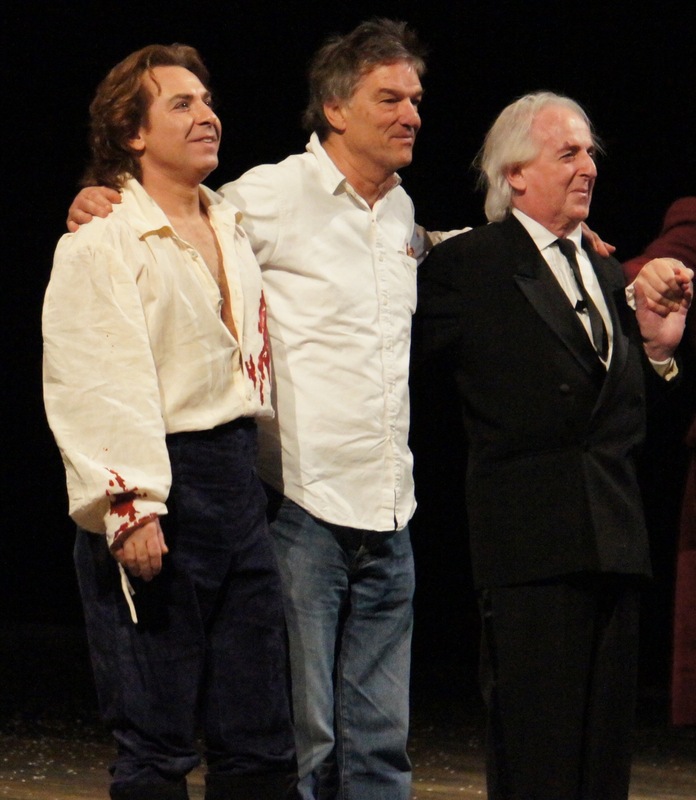 Alagna is seen above with conductor Michel Plasson, and below with director Benoĩt Jacquot and costume designer Christian Gasc. 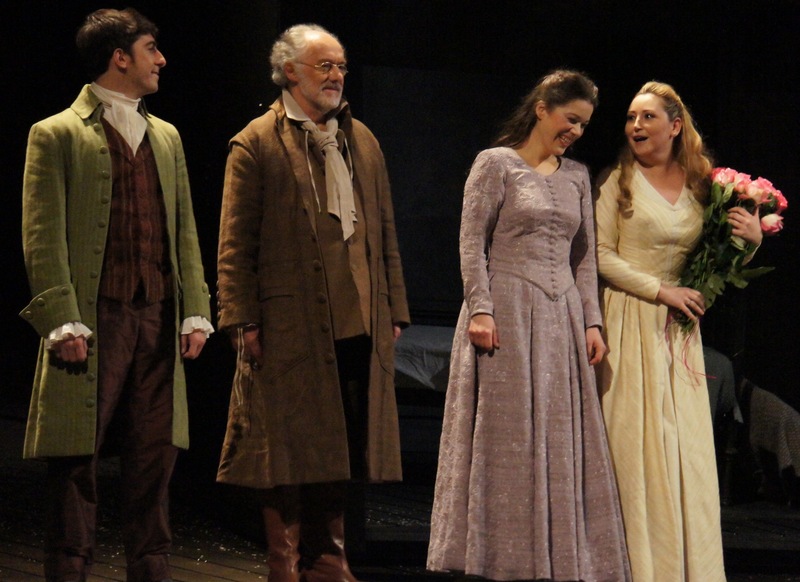 I attended Werther Saturday 25 January and found the performance, as a whole, quite enchanting. My lady wife dabbed her eyes during Act Four such was her emotion. I would certainly recommend a vist to the Bastille Opera for this wonderful opera. Thanks so much Kevin for sharing your reaction to Werther. It certainly was wonderful to see such a beautiful opera performed by such am incredibly talented cast. I saw The Met version recently starring Kaufmann. It wasn’t my favorite opera. He was good though. I might have to check out Kaufmann in Werther in the cinema screening. I love seeing all his operas, and I imagine that he made this season of Werther very popular. Meanwhile, I arrive in New York on Saturday so look out for some Met Opera reviews in the next two weeks. I’m planning to see M. Butterfly. 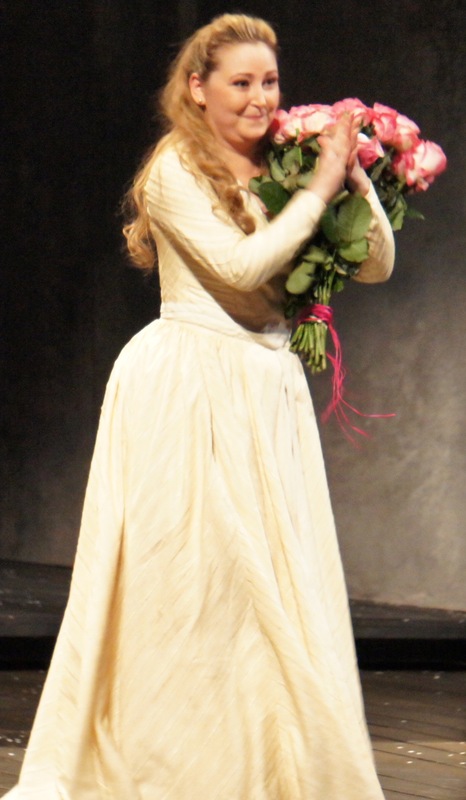 I waited for the upcoming 2nd cast becaue I liked Opalais back from La Rondine 2 seasons ago. I think that was her Met debut and this Butterfly role her first Met performance since.